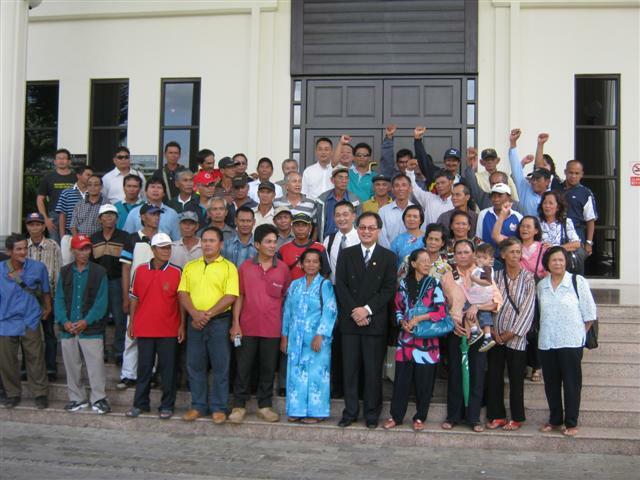 An interim injunction has been granted to Numpang Anak Suntai and 13 other Plaintiffs representing 15 Iban longhouse communities in upper Sebangan in Simunjan, Sarawak, ordering Quality Concrete Holdings Bhd and its contractor Loyal Billion Sdn Bhd to stop logging, land clearing and other related activities over a logging licensed area, the timber licence allegedly renewed under questionable circumstances. Holder of the timber licence T/8473, Quality Concrete is substantially owned by Sarawak Chief Minister Taib Mahmud’s sister, Roziah. Another two of Taib’s family members also have shares in the company. The longhouse communities are claiming native customary rights to the land. The 15 villages are proprietors, occupiers, holders and claimants of NCR lands surrounding Kampung Entanggor, Ensika, Lumut, Arus Dayak, Tongkah Dayak, Tongkah Dayak Lubuk Manta, Tongkah Dayak Atas, Tongkah Dayak Rumah Panjai, Lunying, Belimbing Besi, Ketimbong and Bajong Ili, Bajong Ili Atas, Bajong Ili Tengah, Bajong Ili Baruh, located about three hours’ drive from Kuching. 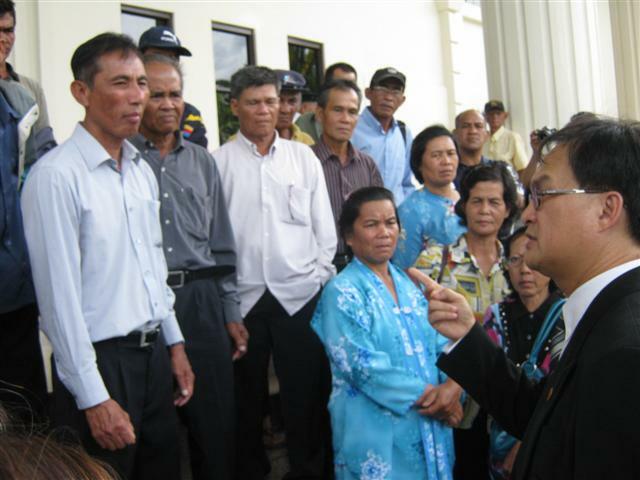 An ex parte interim injunction was earlier issued by the High Court in Kuching on 18.01.2011. Granting the interim injunction this morning, the High Court ordered that the villagers are not to fell trees in the timber licensed area for any commercial or business purposes. The Interim injunction is to be effective until the final disposal of this case. Trial has been scheduled for a week commencing on 8th August 2011. There is another battle that my brother, Numpang Suntai is going to face. It is the “criminal intimidation” charge brought against him by the Police of Simunjan because of a complaint made by illegal loggers and Taib’s relatives and cronies, Quality Concrete Holdings and Loyal Billion. The outcome of this case will be made known in Simunjan Magistrate Office on March 10th at around 9:30 AM. We need your support that this is SO VERY WRONG to charge my brother with “criminal intimidation” because he was protecting our NCR properties in Ulu Sebangan. What happened if a robber came to rob your belongings in your house and you told me him to leave? Should you be charged with “criminal initimidation”?Just because Taib’s relatives told the Police to do it, does not mean it is justified or right? Wrong is wrong! Please show your support so that a good man should not be charged with a crime for protecting his birth rights and his relatives NCR properties. United we stand and change we can! SIB, Catholics, Charismatic, SDA, Methodist, Baptist and all house of worship should all pray for the natives whose lands have been grabbed and still awaiting the courts ruling. may the Lord protect the helpless and oppressed against the corrupted and oppressive regime of Taib Mahmud. I hope Numpang ak Suntai will be released soon. He’s the role model for modern Dayak. Congratulations guys. Fight for your right & freedom. God bless you all always. Christina, spread the good news wide and far to all Dayaks communities. God is always watching over us and protect us against the tyrants and the corrupted regime of UMNO controlled BN government. Ensure everyone in all Dayak villages and longhouses register as voters and exercise their rights to vote out BN in full force. Congratulations to all! God bless and may justice and truth always prevail.